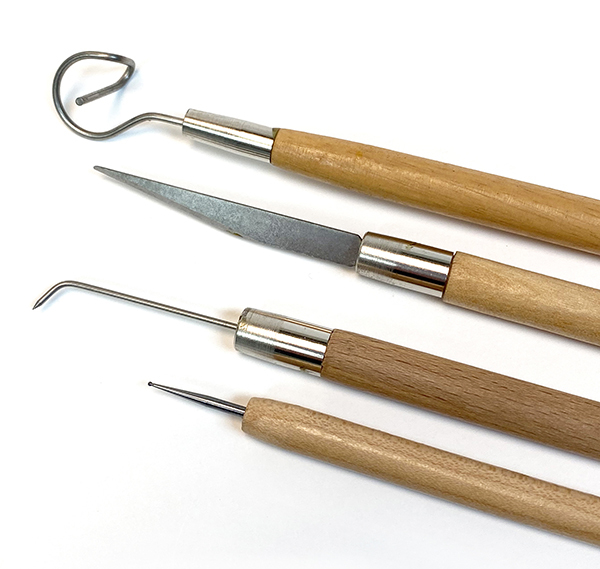 TOOL SETS for Ceramics, Pottery-Making, Sculpting & Doll Crafting. Tool Sets are convenient and economical. B) Doll Crafters Beginners Set. carving tool & stylus tool. Tools are 5" Long overall.